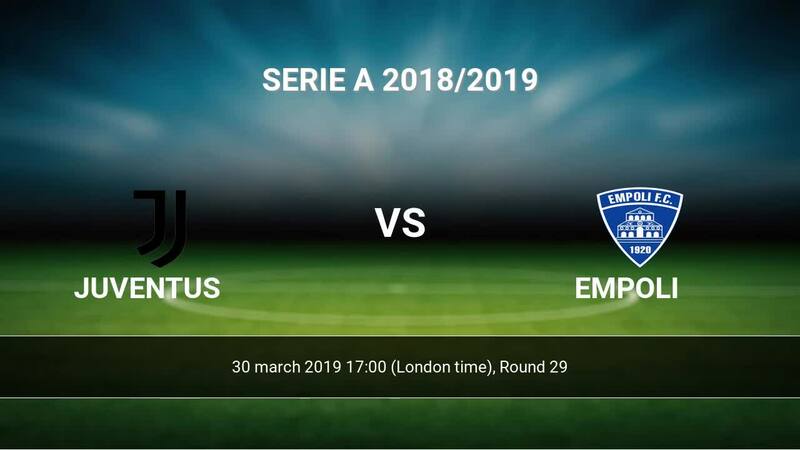 The match Juventus-Empoli Serie A will start today 17:00. Referee in the match will be Federico La Penna. Team Juventus is at the top place in the table (1 place). In 5 last matches (league + cup) team gain 12 points. The best players Juventus in Serie A, who scored the most goals for the club: Cristiano Ronaldo 19 goals, Mario Mandzukic 8 goals, Paulo Dybala 4 goals. Players with the most assists: Cristiano Ronaldo 8 assists, Mario Mandzukic 5 assists, Paulo Dybala 4 assists. Injured players Juventus: Cristiano Ronaldo, Douglas Costa, Andrea Barzagli, Juan Cuadrado. Team Empoli currently is on lower place in table (17 position). Form team looks like this: In the last 5 matches (league + cup) gain 7 points. Leading players Empoli in Serie A is: Francesco Caputo 13 goals, Rade Krunic 4 goals, Miha Zajc 3 goals. 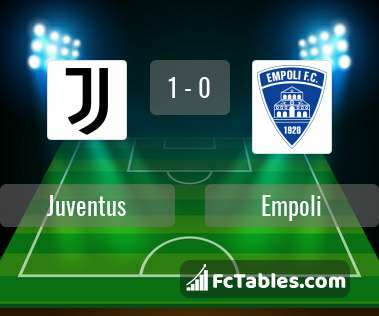 Players Francesco Caputo 3 assists, Rade Krunic 5 assists, Miha Zajc 2 assists will have to be very well guarded by defenders Juventus, because they have the most assists. In Empoli not occur in the match due to injury: Levan Mchedlidze, Lorenzo Polvani, Antonino La Gumina, Jacob Rasmussen, Kevin Diks. Direct matches: Juventus won more direct matches. 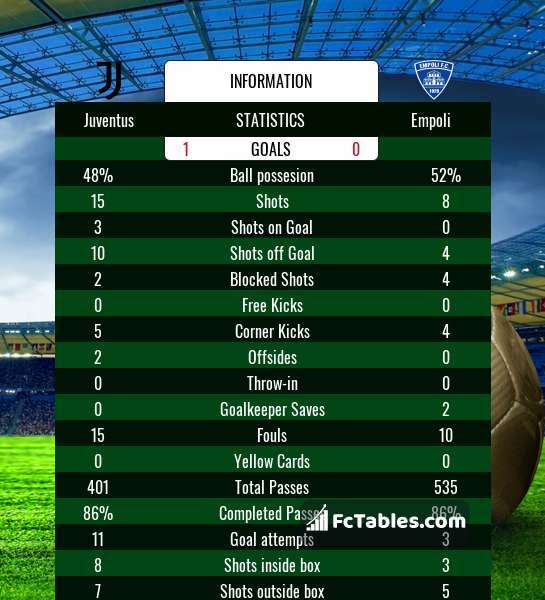 Juventus won 14 matches , Empoli won 1 direct matches, was a 2 draws. In 10 matches the sum of the goals both teams was greater than 2.5 (Over 2.5), and 14 matches teams scored more than 1.5 goals (Over 1.5). In 7 matches the both teams scored a least one goal (Both teams to score).